I have long wanted to take part in the “Mother of All Relays”, known as the Hood to Coast Relay for runners and Portland to Coast Relay for walkers. This is a truly amazing event with teams from 33 countries and all 50 states. Runners start up on Mt. Hood at around 5000 feet and walkers start in downtown Portland. Everyone ends up on the beautiful Oregon coast in a town named Seaside(appropriately) where this is huge party to celebrate this fun and challenging endeavor. Since this is a relay, each team has 2 vehicles and there are ‘legs’ and ‘exchanges’ along the way so that in the end runners each have 3 ‘legs’ that they must complete and walkers have 2 ‘legs’ apiece. Some of these are in the middle of the day, others are in the dark of night in the middle of the Coastal Range, a set of mountains that divide up the western side of Oregon. Last October I organized a group of friends, 12 of us in all, to enter the relay as a walking team. During one of our first meetings, we came up with the name of our team: WTF*(we are all about the asterisk!!). Some ‘other’ meanings for WTF are where’s the finish? where’s the fun? where’s the food? women talking fast, we’re totally fabulous(and humble, LOL)….you get the idea! Thus, the asterisk. The name is really about being creative and fun and energetic, which pretty much describes this group of women. 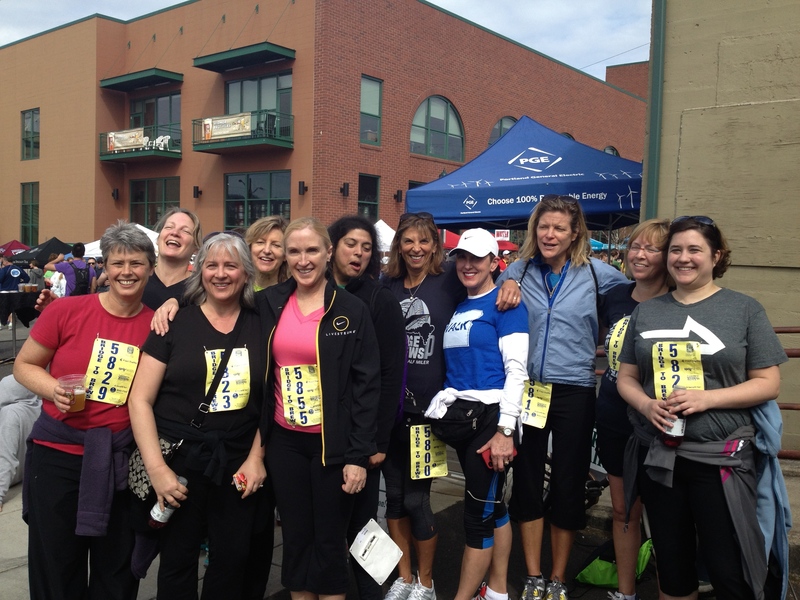 Doing this relay with a group of wonderful women is just another example of a way to stay fit while having fun, creating longlasting memories and living a fuller, more balanced life. This kind of energy is contagious and I encourage each of you to find something similar that resonates with you and challenges you to reach new levels of fitness and balance. As always, we encourage you to share YOUR ideas and experiences with us. Wish us luck!!! See you in Seaside….